Cheesy Baked Cauliflower Tots are great for a bite-sized and delicious snack or side dish! This recipe is low-carb, Keto, low-glycemic, gluten-free, meatless, and South Beach Diet friendly. 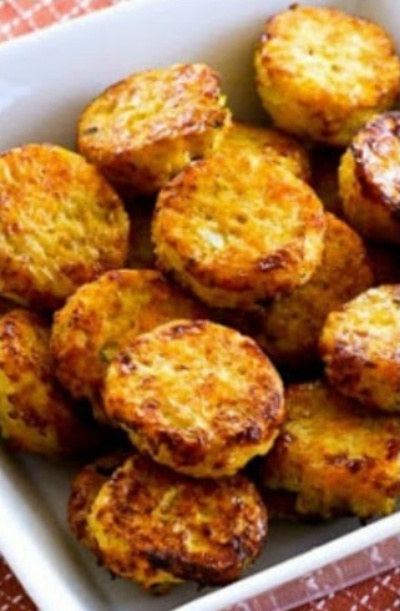 A great bite-sized snack or a delicious side dish!